Moving on from the Aristotle whom we met in the previous episode undergoing a process of ‘esotericisation’ in late antiquity, we come to two rather different Pseudo-Aristotles who arose to great prominence in the middle ages. The first was the author of the influential philosophic treatises the Theology of Aristotle and the Book of Causes, both of which, we now know, were Arabic selections and transformations of texts by the Late Platonist philosophers Plotinus and Proclus respectively. This Pseudo-Aristotle fundamentally transformed the history of medieval philosophy. The second Pseudo-Aristotle was the great medieval authority on occult sciences, magic, alchemy, talismans, and similar themes, the author of one of the most important magic books in the medieval period, the Kitab Sirr al-Asrar in Arabic, Secretum secretorum in Latin, and The Secret of Secrets in English. Whoever said Aristotle was boring was just reading the wrong Aristotle. Alexander Neckam de naturis rerum II 189. The Liber Antimaquis can be found in the 15th century MS Sloane 3854, fols. 105v-110. Thorndyke, L. (1922). ‘The Latin Pseudo-Aristotle and Medieval Occult Science’, The Journal of English and Germanic Philology 21 : 229-58. Adamson, P., 2002. The Arabic Plotinus: a Philosophical Study of the Theology of Aristotle. Duckworth, London. Burnett, C. (1986). 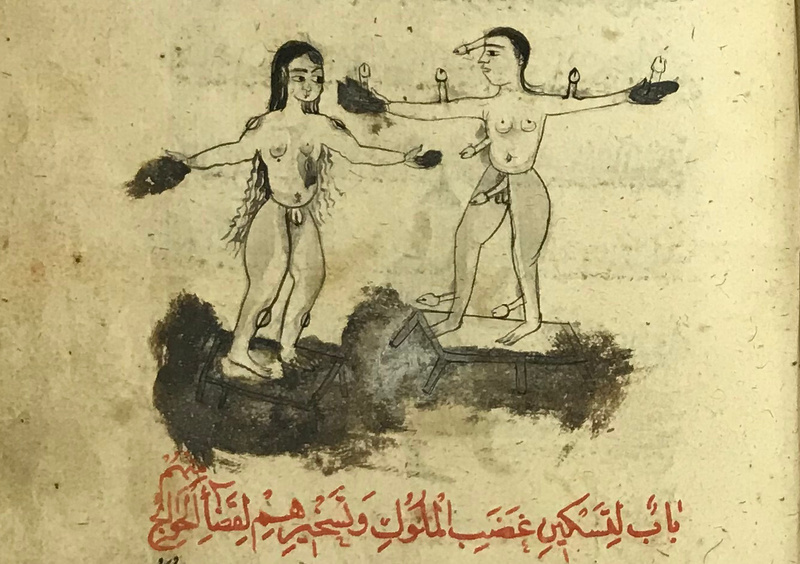 ‘Arabic, Greek, and Latin Works on Astrological Magic Attributed to Aristotle’. In: Kraye, J.; Ryan, W., & Schmitt, C. (Eds. ), Pseudo-Aristotle in the Middle Ages: The Theology and Other Texts, The Warburg Institute, London. Hadot, I. (1987). ‘Les introductions aux commentaires néoplatoniciens de oevres de Platon et Aristotle dans le cadre général du cursus des études philosophiques’. In: Tardieu, M. (Ed. ), Les regles de l’interpretation, Éditions du Cerf, Paris. Manzalaoui, M. A. (1977) Secretum secretorum: Nine English Versions, Vol. 1, Early English Text Society No. 276, Oxford University Press, Oxford. Ryan, W. & Schmitt, C. B. (Eds. ), 1982. Pseudo-Aristotle, The Secret of Secrets: Sources and Influences. The Warburg Institute, London. A collection of cool essays including great stuff on the reception history of the Secretum secretorum. Wasserstrom, S. (2000). ‘Jewish-Muslim Relations in the Context of Andalusian Emigration’. In: Meyerson, M. D. & English, E. D. (Ed. ), Christians, Muslims, and Jews in Medieval and Early Modern Spain: Interaction and Cultural Change, University of Notre Dame Press. Has some interesting things to say about possible provenances for the pseudo-Aristotelean philosophic works. Williams, Steven J. (2003) The Secret of Secrets: The Scholarly Career of a Pseudo-Aristotelian Text in the Latin Middle Ages, University of Michigan Press, Ann Arbor, MI.